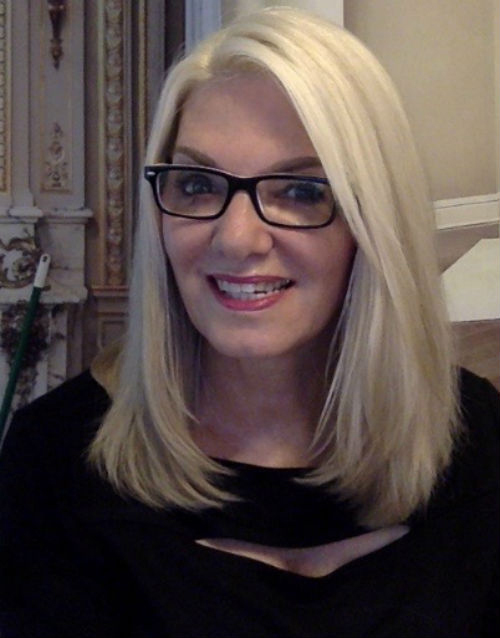 Theresa Phillips: "The Miracle Season is Here…REALLY!" 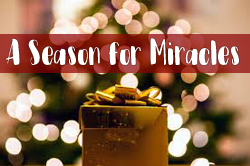 "The Miracle Season is Here…REALLY!" I really, really enjoyed reading this word full of miracle stories from our friend, Theresa Phillips. 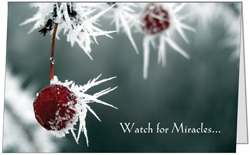 In this article, the Lord challenged Theresa to: "Pray for miracles this season." And as she did...miracles started happening as you'll read about below. It increased Theresa's faith as the Lord said: "...I am giving you an opportunity today to ignite faith in others and tell them to start looking for miracles and write them down this season. For I am going to do many, many miracles. Some may be small. Some may be large. Then some may seem insignificant, BUT all will be Me." "Pray for Miracles This Season"
For weeks, I've been prompted to pray for a miracle this holiday season. I fought against it, due to the fact that the miracle is Christ and most often when I hear a word about miracles I usually go, "Oh well. Perhaps one day..." I am a Believer in miracles, YES I AM; but I'm not a fan of someone getting a great testimony then saying, "Here is the next move of GOD for everyone," with many walking away disappointed. As a result, many keep searching in hopes that a miracle will appear for them too. I'm not alone in feeling this way. I'm sure many do as well...yet I kept hearing, "Pray for miracles this season." I said, "Okay GOD. I'm going to pray for a miracle this holiday season." Then...it happened. I was in service one evening, wearing a very expensive watch. It was a gift from someone dear to me who made a sacrifice to give me this gift. I treasure it greatly. The next day, I realized it was gone; no longer on my wrist. "Surely I must have placed it in my briefcase," I thought to myself. I looked. It wasn't there. I went to church, searched with others hoping to find it; NOT THERE! I was so angry with myself. Where could I have lost it? I checked under the bed, in the furniture, the car again, my husband's truck; everywhere I could think of. I checked parking lots and the garage knowing full well I had not been in there. I was so concerned for the lady who gave it to me...such a sacrifice. "OH GOD PLEASE, help me find it!" I prayed. I had to find it! I was becoming the woman in Luke 15:8, "Or suppose a woman has ten silver coins and loses one. Doesn't she light a lamp, sweep the house and search carefully until she finds it?" In my case it was a watch. On Sunday morning, getting ready for church, I heard my little dog scratching under the bed. I said to my husband Robert, "Please see what she's doing, it doesn't sound good." He said, "Well, maybe she found the watch!" I looked up to Heaven and said, "In the name of Jesus that would be nice, Lord." "Nope, no watch," he said. "Sigh..."
I went to sit in my chair that I sit in every day to put on my make-up. When I did, I was stunned...totally stunned! The watch was sitting on its end (not lying flat, mind you) on the seat of the chair! I gasped. "Robert, come here! Look! It's the watch!" I exclaimed. I grabbed it and it was so cold to the touch. The nylon band was freezing and of course, the watch was dead. It's a miracle! I yelled, "Hallelujah! Praise the LORD! For an angel has found this watch and brought it to me!" It could not have been there all along; it was cold to the touch as if it had been left outside. I knew it was a miracle and as usual, I wondered who would believe it...I SURE DID. I knew what happened. Robert knew what had happened. I was so blessed and thankful! I was not going to keep still over this one! Then as I was preparing to go out the door I heard this: "Theresa, I've been asking you to pray for miracles this season." "Do you believe?" He asked me. "Then keep praying. For I am giving you an opportunity today to ignite faith in others and tell them to start looking for miracles and write them down this season. For I am going to do many, many miracles. Some may be small. Some may be large. Then some may seem insignificant, BUT all will be Me. "I want you to tell the Church to write them down and next year there will be a book of Christmas Miracles and your church will grow!" 1.) The gifts of the Spirit came alive. 2.) The people rejoiced greatly! Yes, these were miracles. All of a sudden others were popping up, sharing the miracles they had just experienced. My husband began to write them down. It was wonderful! Then, the next day, my dog was scratching under the bed again. I felt like something was wrong. That night she was up all night. I kept letting her out all night, knowing she was sick. In the wee hours, as the sun was coming up, I noticed blood everywhere; all over the front. I looked at my dog, she was getting very weak. I called the vet, got her in ASAP and found she had a bone lodged in her stomach. It was big and I had no money for surgery—I had barely enough to cover the visit and meds, etc. I had forgotten: I had been praying for miracles for awhile now. The next day, I had to take her back for another X-ray. If the bone was still there, they had to operate to save her life. I was thinking, "If it's still there she will have to be put down..." for I knew I could not afford the surgery. My heart just broke. The X-ray was taken and the vet came out and said, "Well, the bone has moved and she is going to pass it. It's breaking up!" On Thanksgiving day, she passed the bone without any complications! I rejoiced. Sunday came around and I asked the congregation, "What was your miracle?" • One received an inheritance payment that was quite large. • Another, HEALED of diabetes. • Another witnessed throughout Thanksgiving dinner to a lost soul who was HUNGRY for the Holy Spirit. • Another got time off from a company that had previously said no. • Another is able to be in church for the Christmas season when previously was not able. • People who had been in church years ago came back and wanted to return. • I made the best turkey I ever made. That's a huge miracle with my stove! HA! Now I give you a charge: LOOK for HIM while He may be found! Yes I say, "LOOK!" Yes, a miracle is for you, but remember Matthew 13:58, "And He did not do many miracles there because of their lack of faith." Let this article ignite your faith and LOOK for what GOD is doing in your midst. Dr. Theresa Phillips is an international speaker, author, recording artist, and business owner. She is the host of Global Prophetic Live Web TV, and is the developer of Glory Oils and Redeem and Renew Skin Solutions. Dr. Theresa is an educator and author of Kingdom principles, releasing many into positions of leadership in the "Seven Mountain" spheres of influence. In her 27 years of Ministry, Theresa has authored 22 books and released a number of short articles and prophetic words. She is impassioned to help others develop their own destinies!